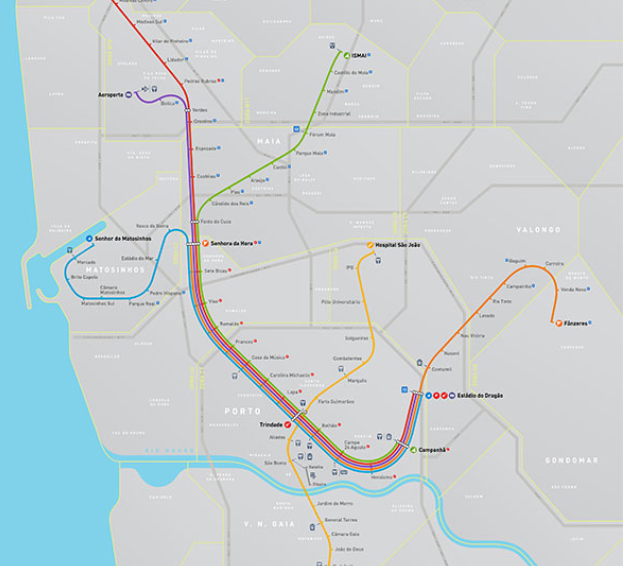 The Metro (urban train) Station closest to ISCAP is Hospital de S. João Station. From there you can walk or catch a bus to ISCAP. The Trindade Station has connection with the rest of the urban train network. Bus: 600 (Maia), 506 (Matosinhos – Praia). 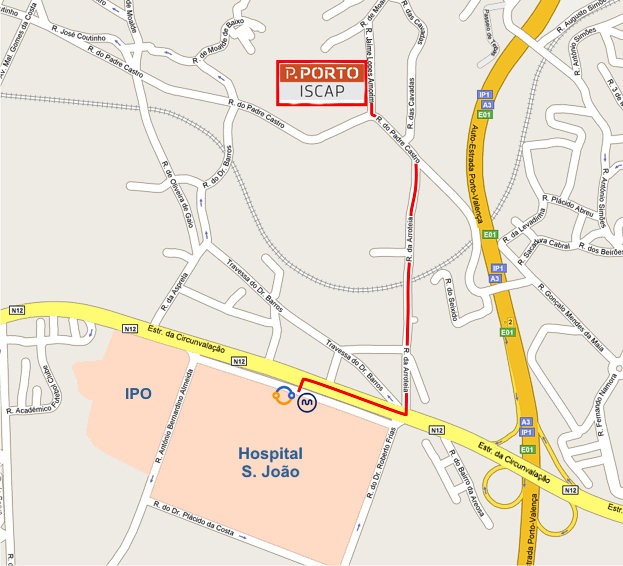 The fastest way is by Metro (urban train): Line D (Hospital S. João). Line E (Violet) connects the Airport Station to the Estádio do Dragão Station. The Airport Station is located right in front of the Arrivals of the International Francisco Sá-Carneiro Airport. Nevertheless, pedestrian access is guaranteed by an underground passage extending from the inside of the Airport to the Station itself, which is simple and practical to find with the help of clearly visible. If you want to go from the Airport Station to the Bolhão Station you must buy a z4 ticket and get on at Line E.
The ticket is the same but a change in Trindade Station is required. After going from the Airport Station to the Trindade Station, change to line D (Yellow) and take the direction of Hospital de S. João.